The conventional objections to DeGrowth boil down to: it isn’t the status quo, so it can’t work. Actually, it’s the status quo that isn’t working. 2. Better rather than more: well-being is increased by everything that cannot be commoditized by a market economy or financialized by a cartel-state financial machine– friendship, family, community, self-cultivation. The goal of economic and social growth should be better, not more. On a national scale, the cancerous-growth measured by gross domestic product (GDP) should be replaced with gross domestic happiness/ gross national happiness (GNH) . 3. A recognition that resources are not infinite, despite claims to the contrary. 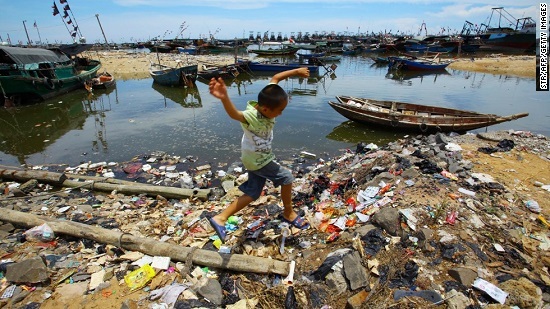 For one example of many: China Is Plundering the Planet’s Seas  (The Atlantic). Indeed, all the evidence suggests that access to cheap energy only speeds up the depletion and despoliation of every other resource. 5. The diminishing returns on private consumption and “bridges to nowhere” (crony-capitalist public consumption). Degrowth is heresy in what John Michael Greer calls the religion of progress  (i.e. growth). 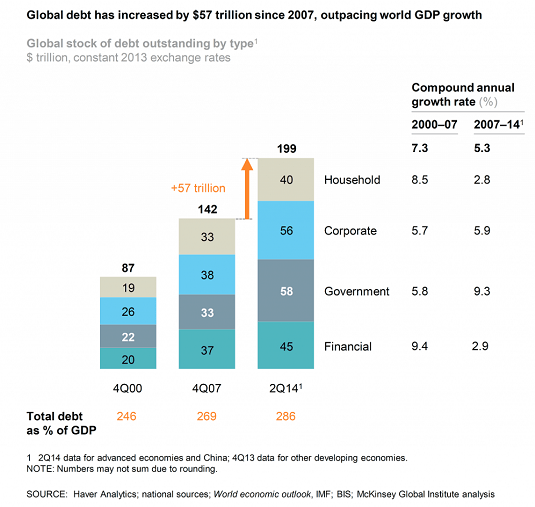 The faith that growth equals progress is akin to the Cargo Cult of Keynesianism, the notion that expanding debt exponentially to drive diminishing returns of growth is not only necessary but a moral imperative. 1. If we don’t change the way we create and distribute money, we change nothing . 2. Not everything that is valuable is profitable, and so maximizing profit is not the sole arbiter of “value,” nor is it a sound process for allocating labor and capital for everything that has value but isn’t profitable. DeGrowth requires two intertwined systems: a decentralized, localized, globally connected network of self-organizing productive “tribes” whose labor generates a global labor-backed crypto-currency. I describe such a system in my book A Radically Beneficial World: Automation, Technology & Creating Jobs for All . DeGrowth is coming whether we like it or not or plan for it or not. Our choice is to blind ourselves to the implosion of the “growth” status quo and squander the opportunity to create an economic system that thrives in DeGrowth, or accept the end-game of financialized “growth” and embrace the technological tools that enable decentralized, localized, globally connected networks funded by a labor-backed crypto-currency. The conventional objections to DeGrowth boil down to: it isn’t the status quo, so it can’t possibly work. Actually, it’s the status quo that isn’t working, and DeGrowth is the result of that simple yet profound reality. If you found value in this content, please join me in seeking solutions by becoming a $1/month patron of my work via patreon.com . Check out both of my new books, Inequality and the Collapse of Privilege  ($3.95 Kindle, $8.95 print) and Why Our Status Quo Failed and Is Beyond Reform  ($3.95 Kindle, $8.95 print). For more, please visit the OTM essentials website .